← Adam – Created in the Image of God or Just a Living Soul? God’s plan for us to be prosperous is found right from the book of Genesis. If we are going to be a blessing to others, we ourselves need to be blessed first. There are some Hebrew words I want to look at, words that show us that God wants us blessed. So let’s get started. Genesis 1:1 IN THE beginning God (prepared, formed, fashioned, and) created the heavens and the earth. This is one verse we all know well, but there is something I like us to see from this verse…. The first alphabet in Bree’shiyth is “B” – which is “Beth“, which means “house“. If you remove the “B” from Bree’shiyth it becomes “Reeshiyth” which means “FIRSTFRUITS“. Deuteronomy 18:4 The firstfruits of your grain, of your new wine, and of your oil, and the first or best of the fleece of your sheep you shall give the priest. We don’t have priests in the temple today, but our highpriest is Christ. 5 And it is true that those descendants of Levi who are charged with the priestly office are commanded in the Law to take tithes from the people—which means, from their brethren—though these have descended from Abraham. Tithe is not throwing up the money in your room to the Lord and what goes up is for the Lord and what falls down is yours…..The tithe is also not your investment policy, where you give 10% and expect a 100% return on investment. Hebrews 7:8 Furthermore, here [in the Levitical priesthood] tithes are received by men who are subject to death; while there [in the case of Melchizedek], they are received by one of whom it is testified that he lives [perpetually]. Here men receive tithes, there they are received by Him/ Christ. Tithes are a testimony, a witness that Jesus lives. 26 And they said to him, Joseph is still alive! And he is governor over all the land of Egypt! And Jacob’s heart began to stop beating and [he almost] fainted, for he did not believe them. 27 But when they told him all the words of Joseph which he had said to them, and when he saw the wagons which Joseph had sent to carry him, the spirit of Jacob their father revived [and warmth and life returned]. 28 And Israel said, It is enough! Joseph my son is still alive. I will go and see him before I die. Jacob is referred to as Israel when he BELIEVED!!! Some people need to see the blessings before they can believe. The world will begin to believe we are following the Living God when they see the church blessed. If the FIRSTFRUIT is holy, the lump will also be holy. Many people have a big problem with money, thinking that money is evil…But money is not evil, it is the LOVE OF MONET that is the root of all evil….. If you can understand this then you can change things around. If the root is holy, then the lump is holy. Make the root holy and you won’t have any problems with the lump. When we bring our firstfruits to the Lord we make the rest, the lump holy. 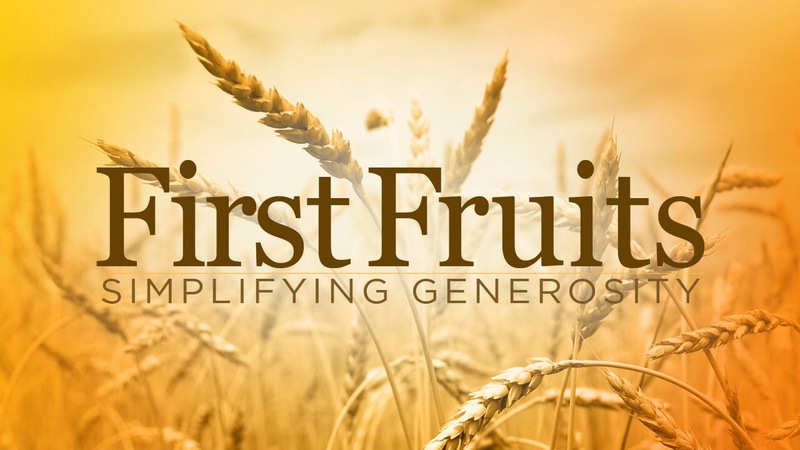 God does not need our money, but when we put Him first with our tithes we are obeying the word of God in bringing our firstfruits to the Lord. This entry was posted in Grace and Truth and tagged blessing, Christ, finance, firstfruit, giving, Karl, manifesting, money, prophet, tithe, Walker. Bookmark the permalink.